The ’20s were defined by short cropped hair and fringe-edged shifts while the power-obsessed ’80s were more represented by strong-shouldered jackets and full suits. Today’s fashion world, however, does not have such defining statement pieces. It goes without saying that new looks are still being created, but it is also undeniable that in recent times, thrift and vintage stores have grown in number and popularity. Clothes from long ago, as well as gently used and resold modern clothes, are getting just as much hype as new clothes that have just made it off the drawing board and onto the racks. Another rising theme in fashion is the age-old motto of handyman dads and neighbors: DIY, or “do it yourself.” Today’s interpretation of DIY is a far cry from that of stubborn fathers and obnoxious neighbors armed with power tools; making your own jewelry, clothes, and accessories can be a great outlet for creativity, a way to relax with friends, and a perfect way to obtain high fashion looks without dishing out large amounts of money. DIY is also one of the best ways for creating a unique look: By making it yourself, you are ensuring that no one else will have it — unless a style spy is hiding in your closet as you break out your hot glue gun and sewing kit, but that’s unlikely. First check that your closet is clear of spies. Then plug in your glue gun so that it warms up and plan out your headband. 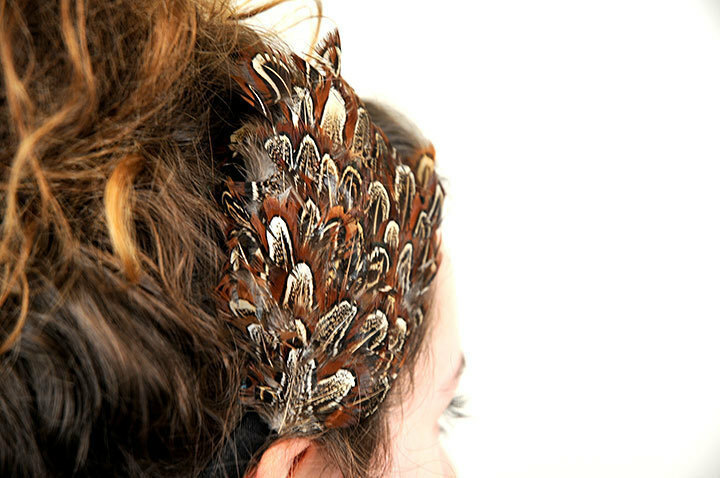 Feathered and jeweled headbands have been everywhere in magazines and stores, but it’s also possible to try out other ideas like wrapping a ribbon around the headband while leaving space between wraps so that both the color of the band as well as that of the ribbon are showing or by gluing small circles of pretty lace to the side of the band. By layering smaller circles of lace on top of larger ones, you can make the fabric look like little lace flowers. One material that shouldn’t be mixed with headbands is glitter — that is, unless you like having sparkles in your scalp all day. For jewels and feathers, thick headbands are definitely better to use because you have a larger area to work with, and both of these materials stick to cloth headbands better than plastic ones. 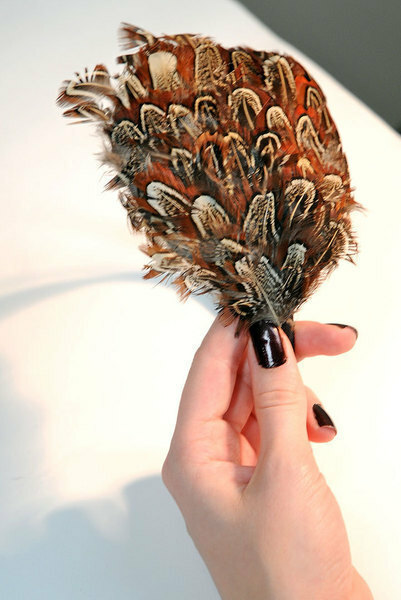 With this in mind, you’re free to feather and bejewel to create a unique headband. There has to be a more flattering name for this accessory. However, in spite of its title, this necklace is really unique, stunning, and surprisingly easy to make. First, cut the “back” cloth into a pretty shape — this is like the base of the necklace, on which you will glue the jewels or beads, equivalent to the pendant part on a basic necklace. Shapes like half-moons or those resembling shirt collars (bibs) work well with this style. Then, use the hot glue gun and decorate the cloth however you want — some suggestions include lining the edges of the cloth with smaller beads and filling the middle with chunky gems. Once the glue has dried and the gems are secure, cut the silky ribbon in half and sew the edges to either side of the cloth shape. You can adjust the size of the ribbon to however long you want the necklace to hang — this look is usually best when it hangs just over your collar bone, so adjust it as needed. Fasten the necklace by tying the ribbon behind your neck. By braiding yarn or jersey fabric, you can put a new spin on the typical knitted scarf that your grandma loves to make so much. This DIY can by done in several ways. Feel free to experiment with the fabric choice — flowing mesh and other types work just as well as those suggested. You are free to buy fabric of the same color, or to pick three different colors. Cut the fabric into thin strips, and separate it or the yarn lengthwise into three sections. Tie the edges of these strips together so that they resemble three ponytails. Braid these strips together, and then tie the ends together to create a braid of fabric. Wrap this around your neck to create a unique and gorgeous braided scarf. To create a less-finished look, use a serrated knife to rip the edges of the strips. Another way to create a unique and classic style is to take advantage of the many thrift, vintage, and resale stores in the area. Pittsburgh has an amazing offering of vintage and resale stores that vary in price, style, and theme — all of which offer unique and inspiring pieces to add to your wardrobe. This shop is located in Squirrel Hill but has its roots in Oakland, where it was created in 1988 as a vintage clothing store. Today, its main focus is on the resale of contemporary pieces, but both old and new styles fill their shelves at very affordable prices. All kinds of fashion are sold here: shoes, coats, skirts, dresses, jewelry, and sunglasses. Apart from great pieces for everyday wear, Avalon Exchange also has amazing wigs and costumes for Halloween, and in addition to selling clothes, the store is a place where you can sell your old ones, too. A great place to find affordable fashion from both the past and the present, Avalon Exchange also has locations in St. Louis, Mo. and Mt. Lebanon, Pa. Located close to Walnut Street in Shadyside, this store has a great offering of genuine vintage clothing. Though the average price tag of this store is higher than Avalon Exchange, Hey Betty only sells genuine vintage pieces from the 1970s or older, so this is definitely a store for vintage lovers and those in search of statement pieces. Owned by Michael Ferrucci and Sandera Lawton, Hey Betty has provided vintage dresses, coats, shoes, accessories, and jewelry for 21 years. The shop is covered from floor to wall with pieces of the past — a fluffy white crinoline hangs from the ceiling by the entrance, and jewelry covers the walls with silver, gold, and old gems. Offering everything from cowboy boots to vintage prom gowns, one of the special pieces found at Hey Betty is a black cocktail dress from the 1960s, which was owned by the first wife of Mel Tormé of the Mel-Tones. Just down the street from Hey Betty, Eons Fashion Antique sells mainly vintage fashion, although there are a few more modern pieces available as well. Yet another great place to find unique fashion, the store is also covered from floor to ceiling with everything from purses to pearls. Military and fur coats line the walls, and the racks are full of dresses from various eras. 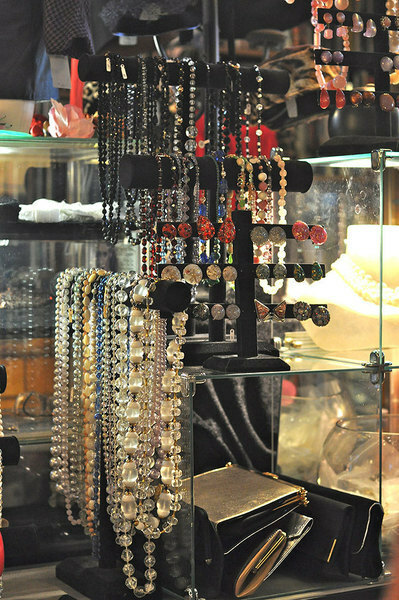 Stands of turquoise and silver jewelry, vintage sunglasses, scarves, and earrings are in abundance near the register; everywhere you turn there are clothes and endless inspiration. 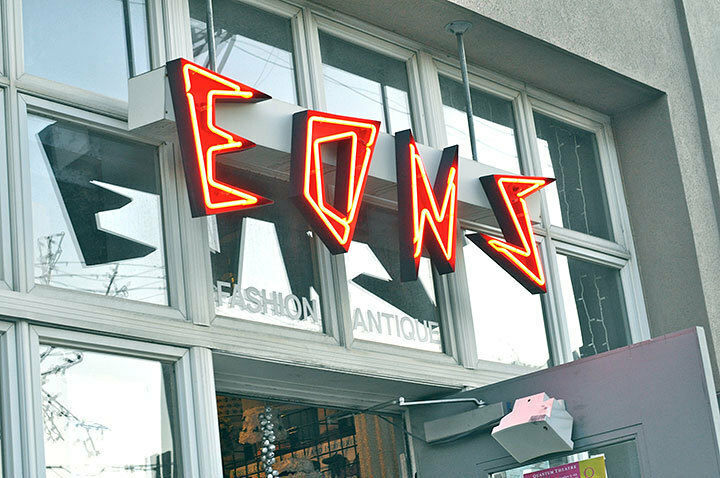 Though slightly more expensive, Eons offers a great shopping environment and quality vintage clothing.